WFMU's Rock 'n' Soul Ichiban! 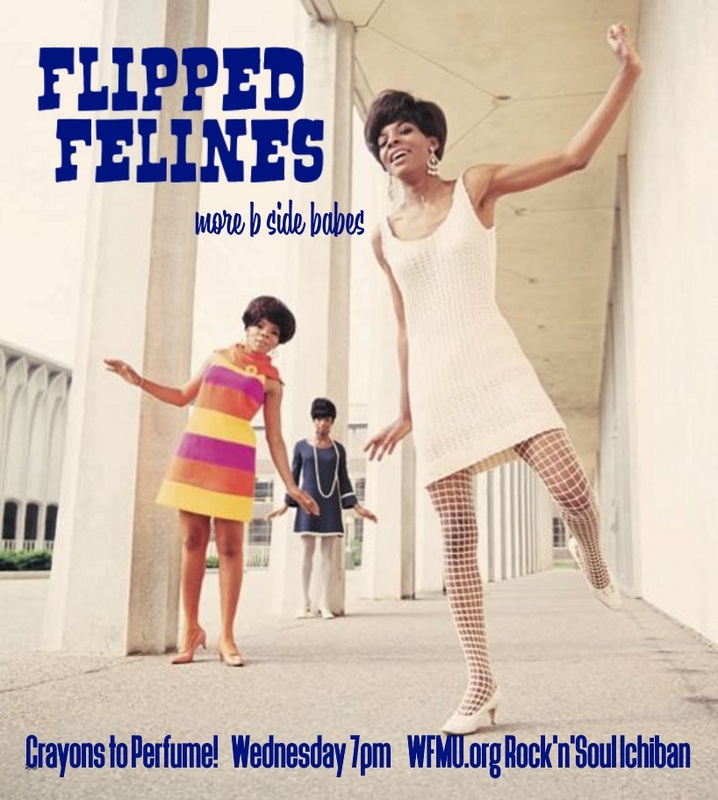 : Flipped Felines - more B-Side Babes! Today we're flipping those hot biscuits over and buttering up the other side for a listen to Flipped Felines - more B side Babes! .... sometimes you just get stuck on a song, you just play that one side of the single, you know, the one everybody says is the hot dance floor filler, the smoothest soul side or perhaps it was just the biggest hit ... but man, you might miss a really great song, an overlooked side and perhaps something truly unique, experimental or unusual for a group. So today djgirlgroupgirl will be wielding her spatula and serving you up a heaping helping of the other side from The Exciters, Francoise Hardy, Raparata & The Delrons, Lada Edmund Jr, Babbity Blue and so many more girls and girl groups - tune in, 7pm on WFMU's Rock'n'Soul Ichiban!